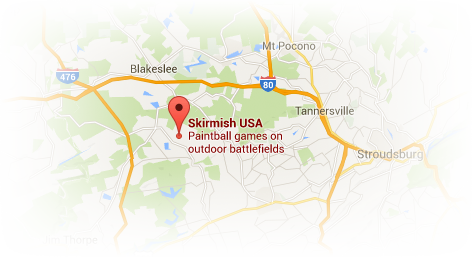 Skirmish is known as being the premier paintball facility in the world. This success is made possible by our diverse fields and quality referees. A Skirmish Referee is responsible for judging paintball games and ensuring players are having a safe and fun day. Aides in providing a smooth and orderly paintball player flow by issuing and collecting paintball equipment to/from players, maintaining a clean facility, filling N2 paintball tanks, and bringing equipment to a player on the field as requested. Some experience required to fix a wide range of paintball guns. Greet guests when they arrive, take payment and prepare them for their day. 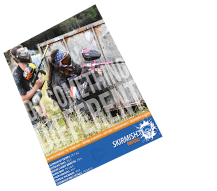 Must have great people skills, a love for the outdoors, and a desire for all players to enjoy their experience at Skirmish Paintball. If you are interested in becoming a part of the Skirmish Family, please complete our employee application and email it to ref@Skirmish.com or hr@poconowhitewater.com. Questions? Contact Rich and Karen at: 570-325-5435.